Since 2004, men all over the world have been using the month of November for sprouting a moustache and raising awareness of prostate and testicular cancer. What started between a small network in Melbourne has evolved into a global movement and international phenomenon, known as 'Movember'. In the words of the campaign, they're 'changing the face of men's health'. Most men are loath to admit they've secretly wondered what they'd look like with a furry top lip, so Movember offers the perfect excuse to grow out the moustache they secretly desire. For some though, moustaches are for life, not just Movember. Here are five of the best motivational speakers who are known to sport a mouser all year 'round. 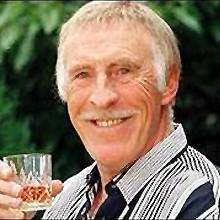 Bruce Forsyth is a household name in the UK and has been gracing our television screens since 1939, when he made his debut as an 11 year old. (Needless to say he was tash-less on his first appearance!) 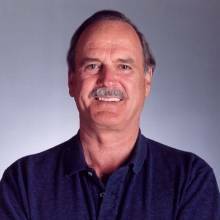 All the pictorial evidence seems to suggest that the former Family Fortunes host didn't don his moustache until the 1970s, so those who remember him from the 60s will have seen him with a bare top lip, a real collector's item indeed! You can still catch Brucie and his tash presenting Saturday night's edition of Strictly Come Dancing. The evergreen television presenter always goes down well on the after dinner circuit, which is understandable. After all, it's rare to find a presenter whose catchphrases are included in the Oxford Dictionary of Quotations! 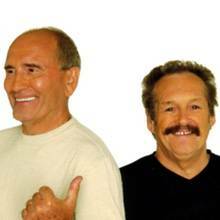 One half of English comedy double act 'Cannon and Ball', Bobby is another great English moustache on our list. The duo have been in show-business for over 45 years now, making their names with their prime time Saturday night television series: The Cannon and Ball Show. Their show (and Bobby's tash) was for years the cornerstone of Saturday night entertainment. They may not have had a television series since 1991, but that hasn't stopped the double act, who have continued to perform at theatre, summer seasons and pantomimes. Although you can book the two separately, it's unlikely you'll find Bobby Ball without his trusty sidekick Tommy Cannon, even on the after dinner speaking circuit. 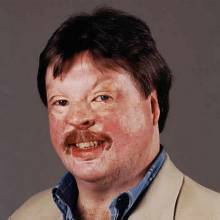 Whereas our first three speakers can only loosely be described as of the 'motivational' category, Simon Weston can definitely be understood to truly define the term. The British Army veteran was severely injured during the Falklands war. After making a recovery, Weston has become a well known TV, radio and media personality. His reputation as a motivational speaker is unrivalled, as he deals with issues including overcoming adversity, accepting change, liking the person you are and accepting others. 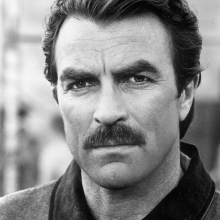 As the picture illustrates, he's also a long time sporter of a moustache, which made him a cert for our Movember list. To book a mustachioed speaker for your event, contact Prime Performers on 020 7251 8222, complete our online enquiry form or email info@primeperformers.co.uk.